Find that you’ve entered an Order incorrectly? The Edit Invoice feature will let you change the fields and send out an updated invoice.The invoice can be edited only if a payment has not been made on it. 1. 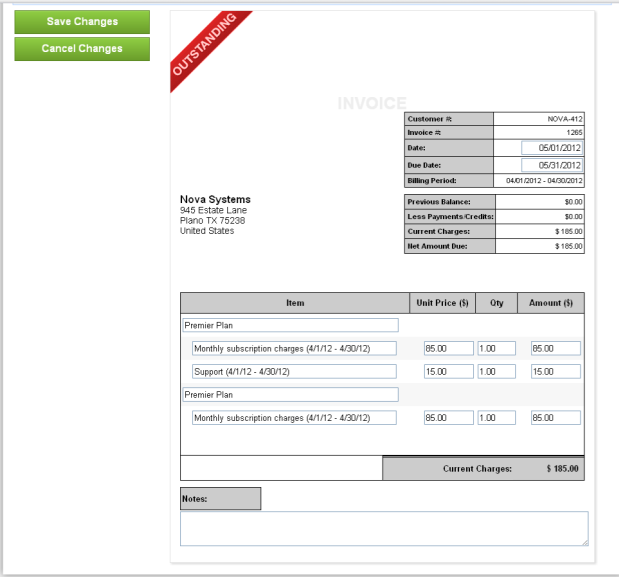 Open the Invoice Detail screen by searching for the Invoice or by navigating through the Customer Account screen. 2. Click on the Edit Invoice button. 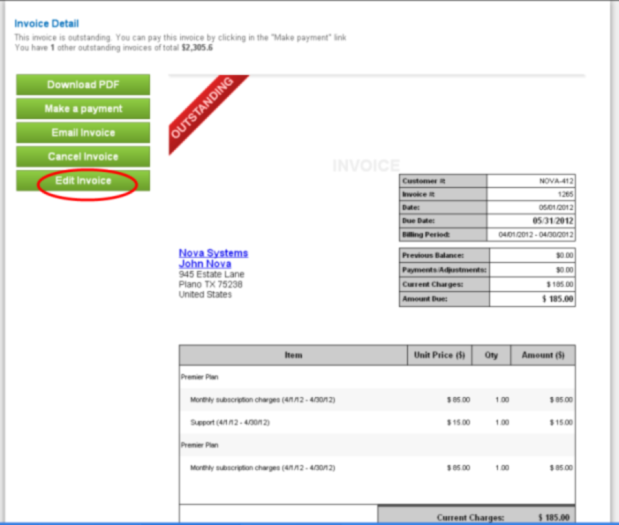 You can edit the invoice date, due date, text in the line items on the invoice and the invoice amounts.